Mark James, MA (Oxon), was called to the Bar in 1987. He is recognised as an expert in the field of costs and also conducts professional negligence claims involving barristers and solicitors. He has extensive experience in insurance-backed litigation including personal injury (especially high-value claims and disease litigation), insurance contract disputes and claims for fire and subsidence damage to property and business (including subrogated claims). He also undertakes construction work and general commercial work. He was counsel in the leading case on fundamental dishonesty, LOCOG v Sinfield  EWHC 51. He is the author of the leading textbook on experts, Expert Evidence: Law and Practice (4th ed., 2014)(Sweet and Maxwell). Mark James is recognised as an expert in the field of costs and has appeared in some of the leading cases on champerty, solicitors’ retainers and other solicitor-client disputes. He frequently appears in applications for wasted and non-party costs. He represented both claimants and defendants in the cost budgeting pilot schemes for defamation and in the TCC and continues to do so now that cost budgeting is generally in use. He is commonly asked to advise in cases that raise complicated legal and technical issues (such as whether CFAs can be assigned) and has a reputation for providing incisive and practical advice. He has created a niche in the field of costs and is recommended in this area by ‘The Legal 500’ and ‘Chambers UK’. 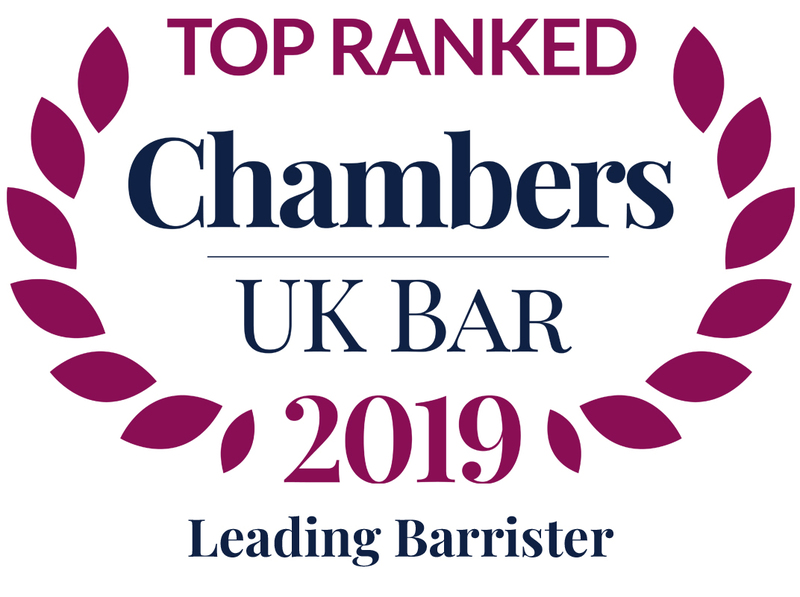 As a result of this expertise he is also frequently instructed in professional negligence claims and disciplinary matters involving claims against solicitors and/or barristers. His personal injury work (which includes clinical negligence) is spread evenly between claimants and defendants. He has developed a specialism in asbestos-related and other disease claims including radiation exposure during the British Atomic Bomb tests in the South Pacific in the 1950s, a case that went to the Supreme Court. He undertakes high-value injury claims (including brain injury cases). Specialises in fire and property damage claims and policy disputes. He has handled freezing injunctions and injunctions to restrain breach of confidence, claims against fraudulent company directors (including claims under the Insolvency Act 1986) and disputes between shareholders and/or company directors as well as breach of contract claims for sales of goods and services and building and partnership disputes. Whether members of the armed services were ‘employees’ within CPR 45 Part IV. The outcome affected the size of the success fee. Stone Rowe Brewer v Just Costs Limited  EWHC 219 (QB),  3 All ER 723. The meaning of ‘special circumstances’ within the context of the ‘one-fifth rule’ governing costs in solicitor-client detailed assessments. Whether CPR r. 35.13 contained a ‘sanction’ for which relief must be sought when a party failed to serve an expert’s report in time. Meaning of the word ‘disease’ in CPR r. 45.23. The outcome affected the size of the success fee. Circumstances in which discretion to vary an order under CPR r. 3.1(7) should be exercised. Large group litigation claim on behalf of servicemen allegedly exposed to radiation from nuclear weapons during military testing in the 1950s – difficult points of law on s. 14 & s. 33 Limitation Act 1980 that reached the Supreme Court. Whether the trial judge was right to exclude DNA evidence linking defendant to murder weapon in a Fatal Accidents claim. Whether a solicitor’s indemnity against other side’s costs was void under the law of champerty. Drake v Harbour  EWCA Civ 25,  NPC 11. Application of res ipsa loquitur principle to establish cause of a fire. Please see link below to the latest update from the TGC Costs Team. The leading textbook on the law as it applies to experts (including bias, expert immunity and the admissibility of expert evidence) and procedural rules across civil, criminal and family proceedings. Mark James, instructed by Stewart-Moore Solicitors, advised the well-known horse trainer Jim Best on the issue of apparent bias when it emerged that the chairman of the British Horseracing Association Disciplinary Panel that convicted him of misconduct and banned him for 4 years had the BHA as a client. I am registered with the Information Commissioner’s Office (ICO) as a Data Controller for the personal data that I hold and process as a barrister. My registered address is Temple Garden Chambers, London EC4Y 9DA. The vast majority of the information that I hold about you is provided to or gathered in the course of your case and/or proceedings. Your solicitor and/or I will tell you why we need the information and how we will use it. Typically I will need the information to advise you about your case, represent you in court and/or to draft documents (including court documents) on your behalf. You may request access to, correction of, or a copy of your information by contacting me at Temple Garden Chambers, London EC4Y 9DA or clerks@tgchambers.com. I will occasionally update my Privacy Notice. When I make significant changes, I will notify you of these through either mail or email. I will also publish the updated Notice on my website profile.